How You Can Help | Animal Shelter, Inc. ® 2015 Animal Shelter, Inc. | We Save Thousands of Animals YEARLY - Help US Help MANY MORE with your Support! We Save Thousands of Animals YEARLY - Help US Help MANY MORE with your Support! There’s a place in your community where the hungry are fed, the homeless are sheltered, and the abandoned are given care. It’s your local animal shelter, right here in Sterling, MA. Where we provide comfort and care for pets in transition. We offer many services for both pets & people. To do all this, we rely on the kind support of people like you. The best way to help is our RECURRING GIVING PROGRAM. $25 a month only $.84 cents a day allows YOU to HELP US make a difference. I adopted Shadow back in May and he has grown into a well behaved 6 Month old Puppy. FEED 1 animal for one month. Monthly recurring option below, not required. PATH FOR PAWS - ENGRAVED BRICK - with YOUR Milestones and Memories - a special way to honor a beloved friend, family member or pet or to commemorate a milestone in your family. The path represents a symbolic milestone/s in the life of a person or pet. While donors can quite literally, pave that path brick by brick, it’s the inscriptions on those bricks that makes the program so meaningful. 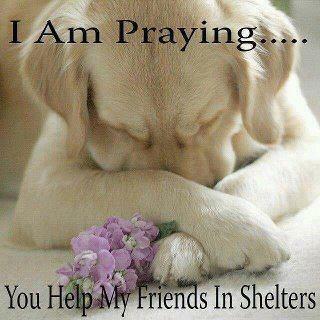 Donate 100% - Add 3% so that 100% of the donation goes to Animal Shelter, Inc.. Animal Shelter, Inc. has partnered with Network for Good to securely process your online credit card payment via Network for Good (tax ID 68-0480736). This transaction will appear on your credit card statement as "Network for Good." This transaction is subject to Network for Good’s Privacy, Security & Disclosure Statement and the Charitable Solicitation Disclosure.